One of the real surprises to me in college was…bacteria. Now I had encountered these characters before (I guess everybody has, since more of the cells in a human body are symbiotic bacteria living inside of us than are…well our own actual cells). 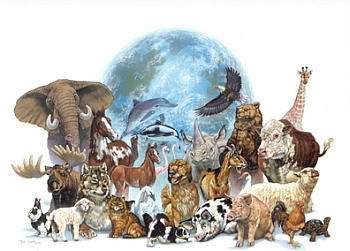 However, in college I learned the full history of life on Earth. It is mostly a history of bacteria: multicellular creatures only show up for the last 600 million years. For over 3 billion years, the world belonged to the bacteria alone. I also learned about extremophiles—bacteria that can live in boiling hot temperatures or in oxygen-free environments. Some extremophiles can metabolize inorganic things like sulfur and arsenic. They can live without the light of the sun in the fathomless depths of the ocean on poisonous elements. The oxygen we breath was created as a waste product by these first archaebacteria. The planet’s atmosphere was once a reducing atmosphere, where paper would not burn (assuming you had any…billions of years before trees plants evolved, much less paper-makers). Bacteria made it an oxygen world where things burn…including our metabolisms. 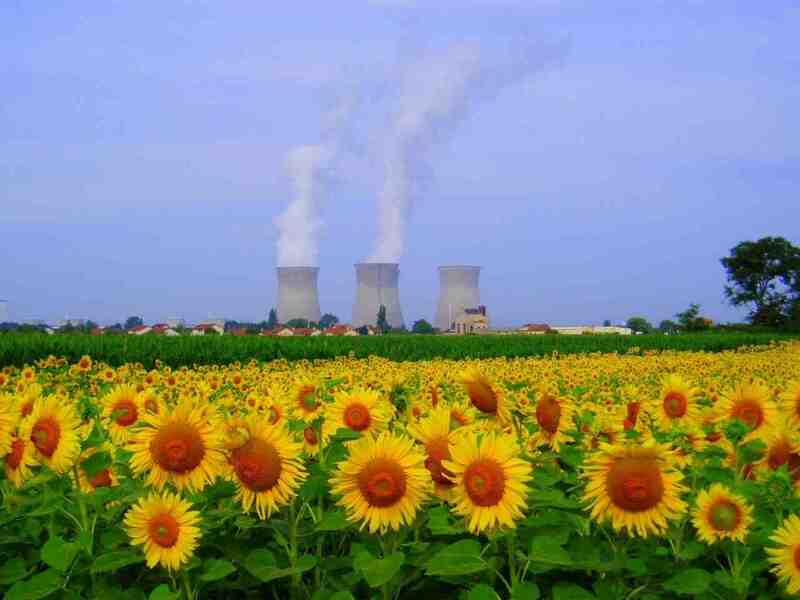 They changed the world in a fundamental way that we industrial humans with our infernal carbons cannot match. The archaebacteria sound like aliens (indeed, there is a real possibility they actually originally were aliens), but they are also our great-great-great ever-so-great-to-the-100th power grandparents. I don’t need to wonder whether evolution is real: I have seen it in a science lab when we put a pellet of penicillin on a petri dish and watched as the bacteria evolved resistance to it (not really a super-smart experiment in hindsight, but a super-compelling one). I wish I could impress upon you how astonishing bacteria are. They are the true sacred seed of life–the undisputed masters of Earth. However, this is old news. The new news is that there are so, so many more bacteria than we realized. The earth beneath our feet is filled with bacteria…but the stone beneath that is filled with bacteria too. And the weird hot putty beneath that stone (the gabbro) is also filled with bacteria. There are bacteria in the depths of the world. Living bacteria have been discovered in the gabbro 1400 meters beneath the basalt floor of the ocean. There is a barely discovered world of secret life deep beneath our feet—a true underworld of secret unknown species of micro-organisms. The size of this ecosystem is enormous. If these are the true boundaries of the underworld bacteria biome, it means that there is a region of secret life twice as large as all of the world’s oceans combined. Based on past experience though, it is not unreasonable to doubt that deeper pockets of bacteria will be discovered as our drilling and bio-assaying become more sophisticated. Most of the super deep bacteria spend enormously long periods in suspended animation. Sometimes they enter a metabolic suspension so profound that they seem dead or inanimate (which is maybe how we missed them for so long). At present, scientists and writers are calling them “zombie-bacteria” because of their half-alive status (which seems like an appropriate nomen based on their underworld habitat). 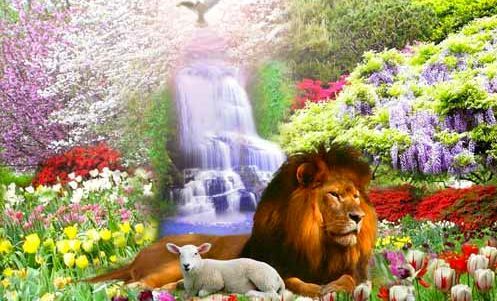 I wish I could tell you more about this realm of life on Earth, but I can’t. Not only am I not a bacteriologist or geologist, additionally we (meaning all of humankind) simply don’t know the answers yet. More research is necessary. Sadly, it is probably going to be slow to materialize. Our leaders seem incapable of grasping that surface life needs to continue longer than a few decades (at least if they hope for meaningful long term economic growth). I shudder to imagine them furrowing their brows at the concept of vast stone oceans of zombie one-celled organisms…and explaining to their constituents why we need to know more about such things. But we DO need to know. In the synthetic ecosystems of my youth, the lack of coherent sustainable bacterial communities was the root cause of disastrous failure. 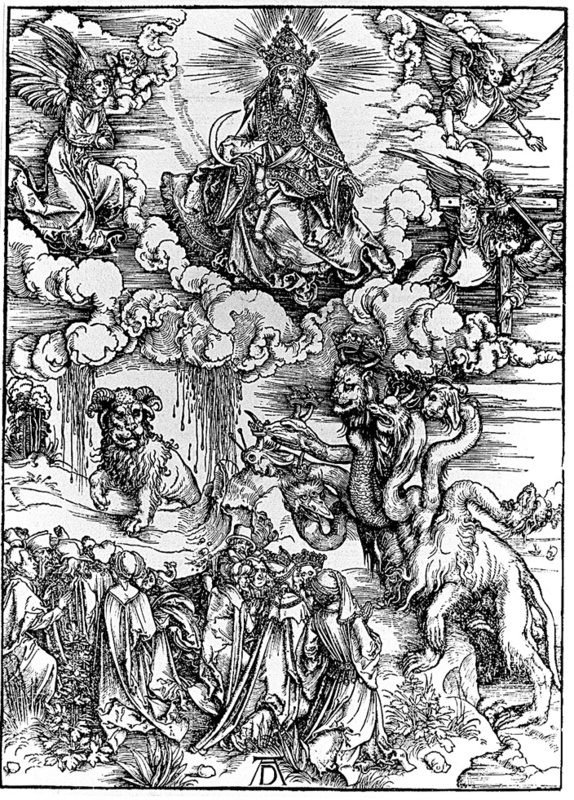 I don’t think our new underworld friends are going to fail or die any time soon, no matter what we surface beings do, yet if we want to take life elsewhere than Earth we are going to need to understand them much better. Perhaps life did not spring from some pool of irradiated scum or arrive on a comet from beyond the solar system. Maybe it came from the hot depths. Maybe we are all underworld beings. My grandfather owned a house in the strange & problematic city of Baltimore (which was one of the first urban areas I got to know very well). One of grandpa’s tenants was an opioid addict. This guy’s life was inexorably destroyed by debt, communicable disease, and appetite…and the poor soul ultimately went back to wherever he came from. But he left all of his empty aquariums, Apple computer games, and his weird science fiction literature behind. In due time, these things found their way into my hands, and they were a huge part of growing up. Among the science fiction books were Isaac Asimov’s “Foundation” series where the capital of the old Galactic Empire was the fictional world “Trantor.” Planet Trantor was entirely a city: the oceans had been drained away into underground cisterns. The farms were all replaced by administrative buildings. It was a metal and plastic world of skyscrapers, enormous conference rooms, huge statues, and titanic space co-ops. On Trantor, there was no more primary sector work…everything was brought to Trantor from other planets. This explains how I first ran into the concept of an ecumenopolis—a planet which is entirely covered in a city—it is a forboding idea which blew my mind as a kid. I have been thinking about a lot lately. If contemporary English writers need to invent new words, they don’t go back to grub for syllables in ancient guttural Saxon words of earthy doom. Instead they glue together neologisms from Greek and Latin roots. 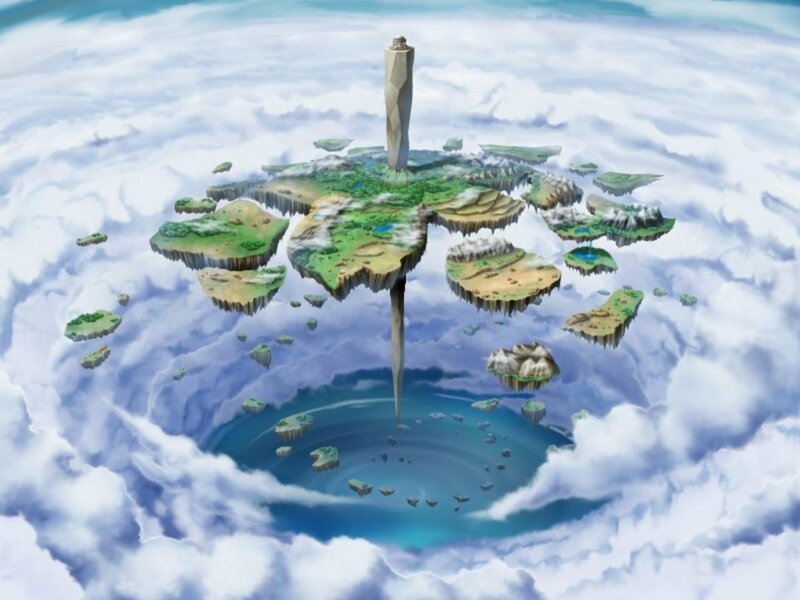 This is how we have the word “ecumenopolis”, which literally means universe-city. The word does not come from Athens or Rome, where such a concept was undreamt of. It is a word from America in 1967, when the world’s planners and scientists began to comprehend that invasive humans were spreading through every ecosystem of a finite Earth. 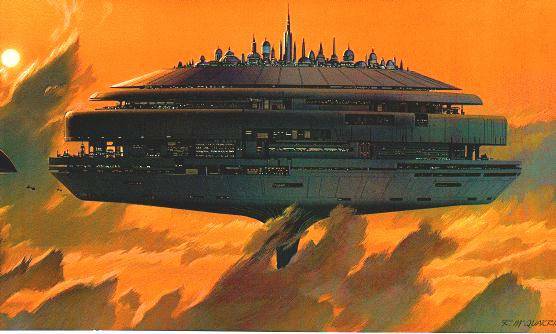 However the concept came from Asimov—who, in turn, borrowed it from a weird utopian American preacher. The word was thus coined just before the dawn of the space age, when the finitude of the planet was beginning to become evident. Lately, this idea came to the masses in the form of planet Coruscant, the administrative world of the much-derided Star Wars prequels. The best aspect of those movies was staring at the endless lines of spaceships flying between enormous buildings or taking off from huge engineered megastructures. Coruscant had its own dark glistening beauty yet it was also painful to think about, and whenever the characters went down into the city, the effect was risible. It is hard to capture the cliquish and modish aspects of urban life on film in a way which makes them seem appealing (which is probably why Coruscant got blown to bits by a stupid plot contrivance in the new series). This illustrates a point too: in fiction, the inhabitants of cities are corrupt and interchangeable (whereas country folks are salt-of-the earth heroes). 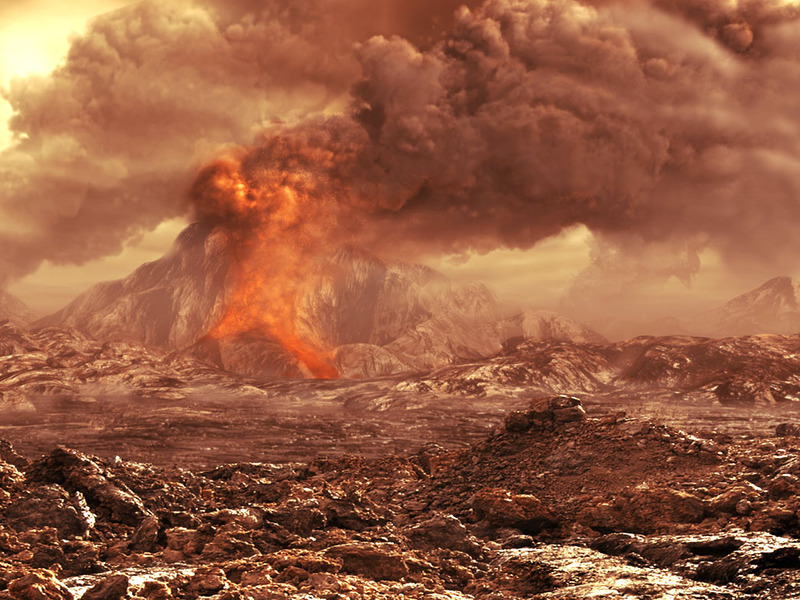 We don’t really have any other planets: and if we do they will be hell worlds or ice desert worlds–like Venus and Mars (come to think of it, they will be Venus and Mars). Those worlds would be lovely ecumenopolises: it isn’t like you were going outside there anyway. Whereas if Earth’s deserts, reefs, rainforests, elephants, and golden moles are replaced with concrete and billboards it would be a tragedy beyond reckoning (although maybe future children would read about such things in antiquarian blogs). That is a profoundly sad thought, but it doesn’t mean that things have to be that way. If we can urbanize well, we can still have space and resources left over for agriculture and for the natural world (while we get our act together and make some synthetic mega habitats elsewhere where everyone can have a gothic mansion and a robot army). I introduced this post with an anecdote about the city, albeit the city of Baltimore which seems hopelessly tiny and provincial now (to say nothing of how it seems compared with imaginary planet-wide cities). I want to write a lot more about cities. The Anthropocene is upon us. More than half of all human beings now live in a city! Indeed I live in Brooklyn, and I work on Wall Street (don’t worry: I am untainted by the corrupt wealth of global finance because none of it ever reaches my hands). Talking to people I have realized that the story of my grandfather’s tenant is unremarkable: city dwellers know all about such things. Yet the story of my renegade turkeys is unfathomable to most people. Cities are the natural habitation of humans (well—I guess the margin between forests and grassland in Africa is our natural habitat, but most of us have moved away from there and cities are our new home). The question of whether we can make cities better and find a way to live in greater density in a safe and healthy way is a very pressing one. Or will the entire planet become a horrid strip mall…or worse a sprawling slum. Let’s talk about cities! 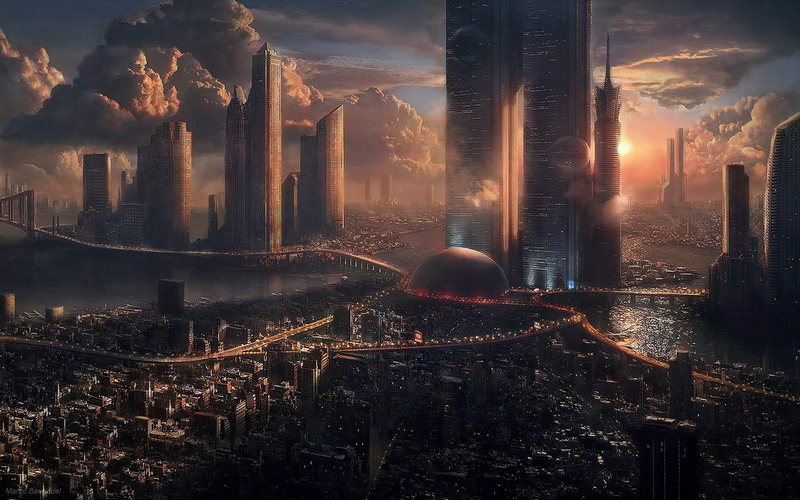 We need to build better cities…and some day, an ecumenopolis. 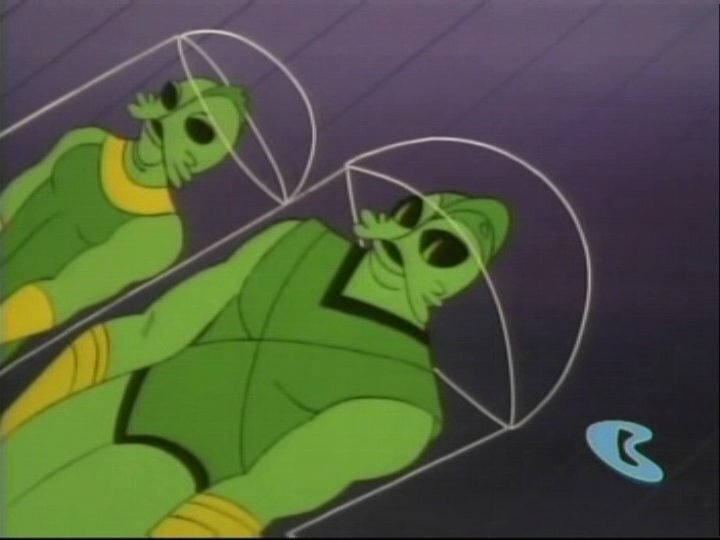 We need to make sure that it is not here though, because that will be a true Apokolips, er…apocalypse. Exciting news from the heavens! Today NASA has reported that the Kepler mission has discovered 3 new planets in the habitable zones of two distant stars. Of the thousands of worlds so far discovered, these three are most likely to be habitable. Best of all the planets are crazy! Kepler is a NASA space telescope which was launched on March, 2009. It makes use of an incredibly sensitive photometer to simultaneously & incessantly monitor the brightness of over 150,000 nearby stars. 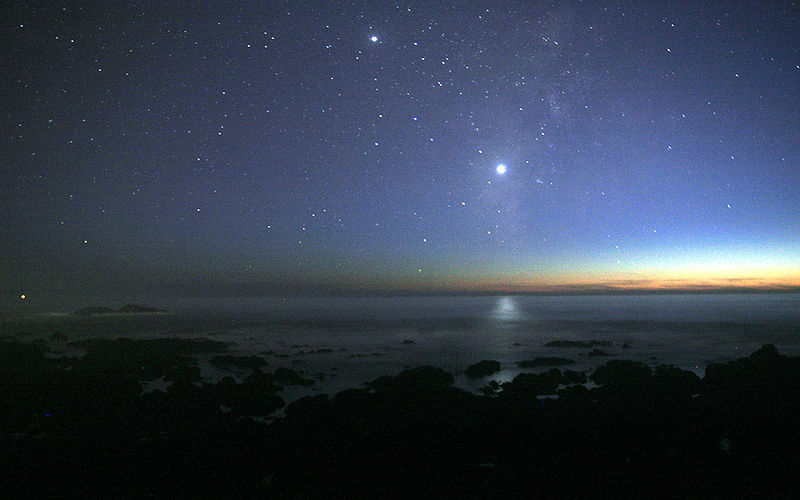 The brightness of a star dims slightly whenever an exoplanet transits between it and Kepler. Thanks to Kepler’s inhuman vigilance and robotic ability to perceive nearly imperceptible light changes, we are now discovering thousands of new planets, although most of them are Jovian sized gas worlds. The three worlds reported today lie in the habitable zone—the region around a star where water exists in a liquid form (as it does here on beautiful Earth). Two of the newly discovered habitable zone planets are in a five planet system orbiting a dwarf star just two-thirds the size of the sun which lies 1,200 light years from Earth. 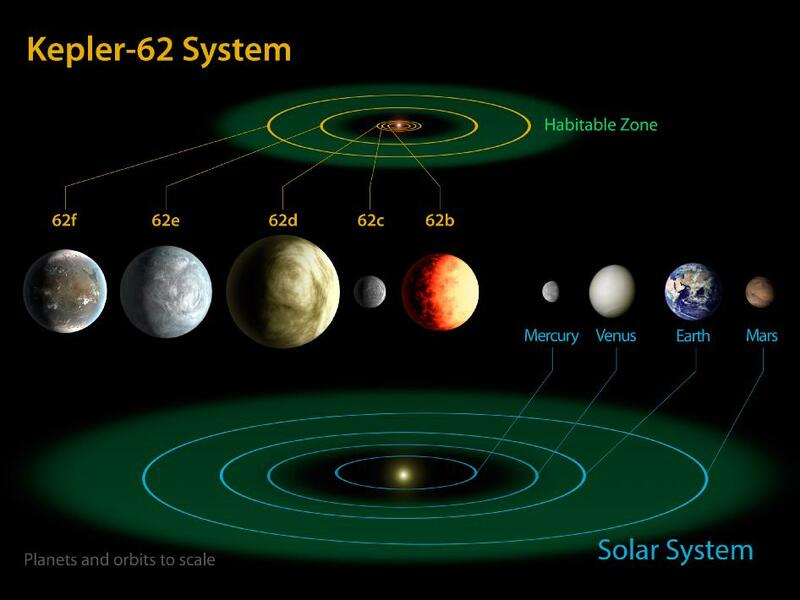 Here is a diagram of the Kepler 62 system. Of these five worlds, two lie in the habitable zone, Kepler 62f and Kepler 62e. 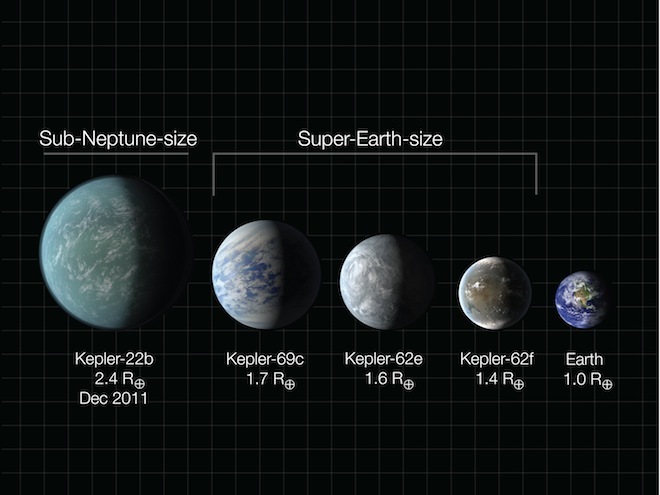 Kepler 62 F is most likely a rocky planet and is only 40 percent larger than Earth. It has an orbit which last 267 (Earth) days. So far it is the smallest exoplanet found in the habitable zone. The star it orbits is 7 billion years old (as opposed to the sun which is four and a half billion years old) so life would have had plenty of time to develop. The other habitable zone planet in the Kepler 62 system, Kepler 62e is probably about 60% larger than our planet. It is somewhat closer to the star and astrophysicists speculate it may be a water world of deep oceans. No! 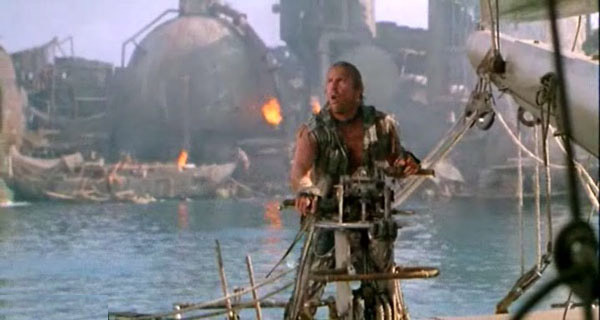 Not that sort of Waterworld! 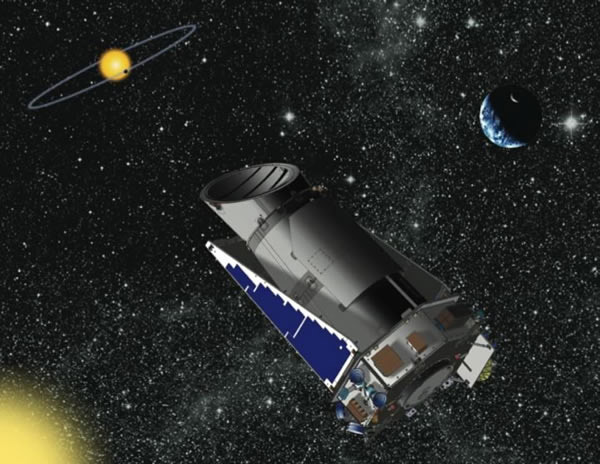 The other new exoplanet Kepler-69c appears to orbit a star very similar to Earth’s sun. It orbits at the inward edge of the habitable zone (nearing where Venus is in our solar system) so it may be hot. 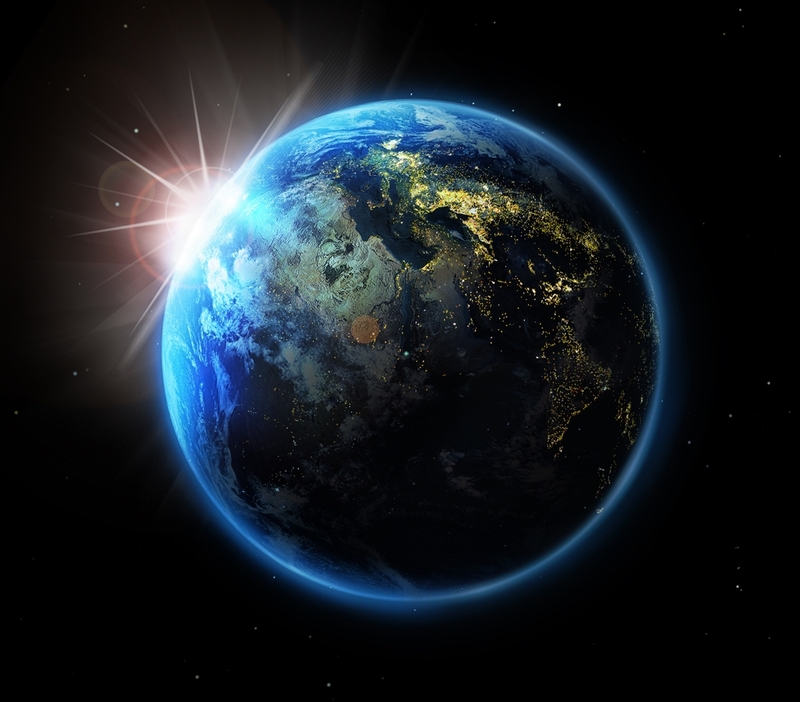 The planet is estimated to be about 70% larger than Earth, and is also thought to be a water world with oceans thousands of kilometers deep. I am finding it impossible not to imagine those vast oceans filled with asbestos shelled sea-turtles the size of dump trucks, huge shoals of thermophile micro-squid, and burning-hot chartreuse uber-penguins, but if any life is actually on Kepler-69c, it is probably extremely different from Earth life. Of course Kepler can only find these planets; it is unable to observe very much about them. 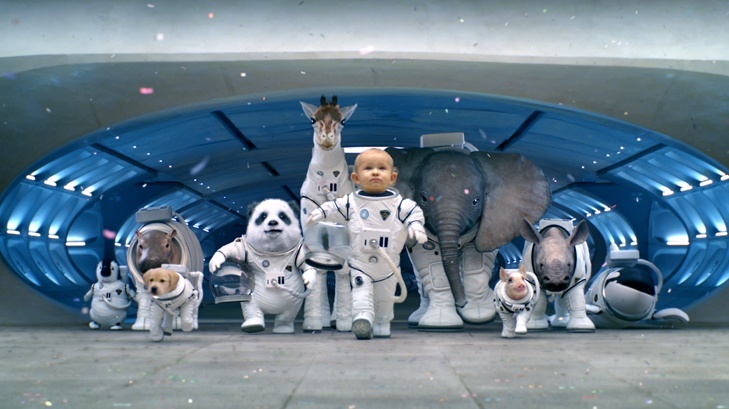 In order to do that, humankind will need some sort of huge amazing super telescope. Speaking of which, tune in next week when I write about humankind’s plans for building a huge amazing super telescope in the Chilean Andes! In the 1980s NASA challenged architects to invent a way of constructing buildings on the moon or Mars where traditional building materials would not be available. An Iranian American architect named Nader Khalili came up with a simple & ingenious concept which involved minimum material and time. Khalili’s idea was to fill long plastic tubes with moon dust or space rock and then build dome-shaped buildings from these sandbags (judiciously braced with metal wires). 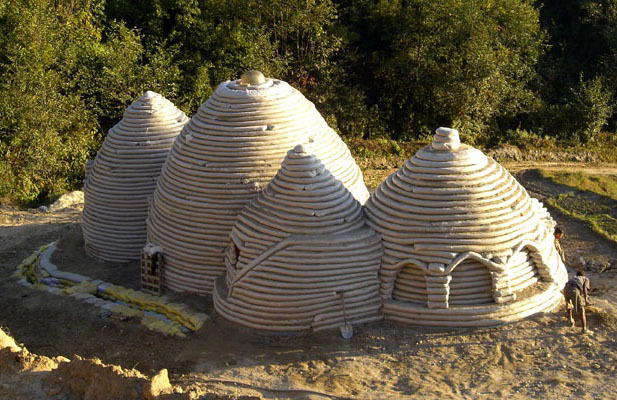 Although NASA has not yet used the idea to build any space bases, the architectural and building style which Khalili invented has taken off here on Earth, where it can be used to quickly make highly stable, inexpensive structures. 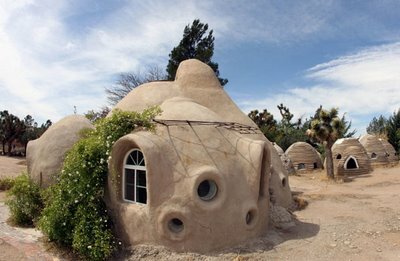 The style of crafting domes out of plastic bags filled with local earthen material is known as super adobe. 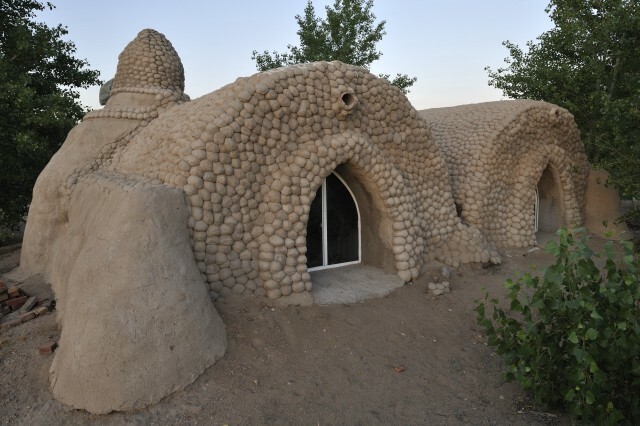 Khalili initially thought that his buildings would be used as temporary structures for refugees or disaster victims who had lost their homes, however, when plaster or cement is added to the buildings they can become surprisingly permanent and elegant. 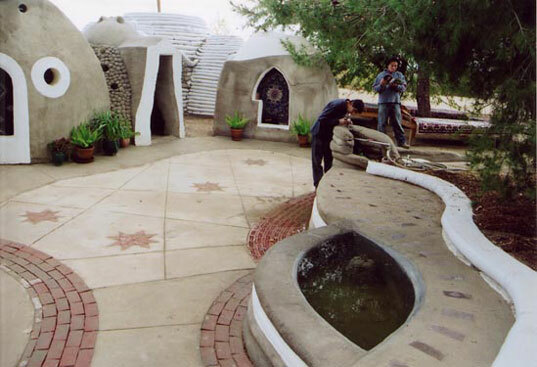 Super adobe architecture results in beehive shaped structures filled with arches, domes, and vaults. 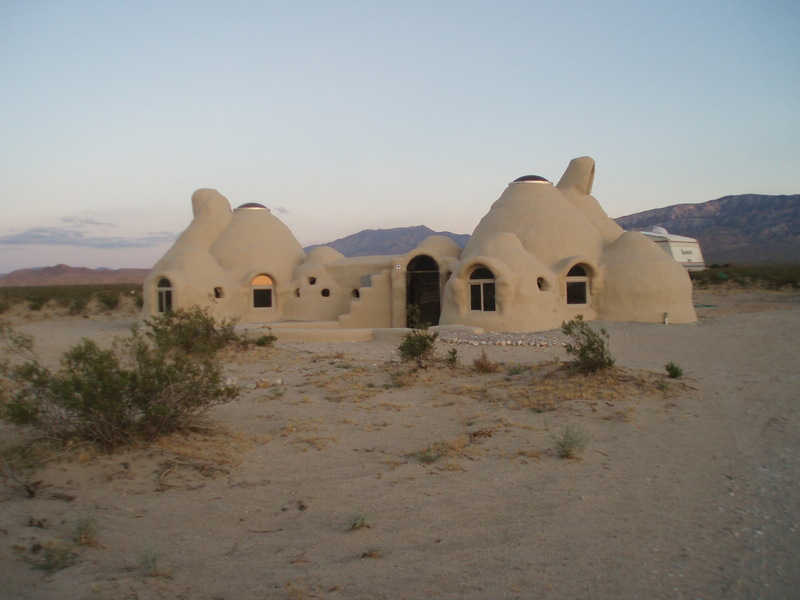 Windows and doors can be created by putting inserts into the bags and then building sandbag arches around them, or arch-shaped holes can be sawed into the finished plastered domes. 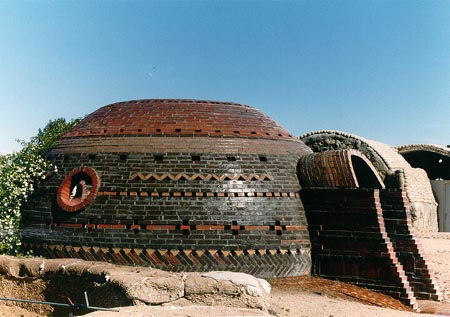 Superadobe domes can be beautifully finished with tiles, glass shards, or other decoration or they can be smoothly plastered. Khalil created a finish which he called “reptile” where the domes were covered with softball sized balls of concrete and earth. Reptile finish prevented cracking by creating paths for the structural stress caused as the building settling and by heating/cooling expansion and contraction. Superadobe architecture is best suited for the dry hot southwest, but can be used elsewhere (especially if the builder adds a layer of insulation) and can employ a variety of available fill materials. If the builder uses earth and gravel to create small domes the buildings are surprisingly resistant to earthquakes, floods, and gunfire. 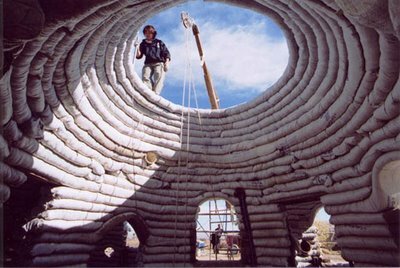 Additionally earthbag buildings are cheap and easily constructed by unskilled builders. The fact that wood is not required has made the style a focus of environmentalists and green builders. I am a huge fan of domes, but they are rarely seen outside of huge expensive buildings like churches, legislative houses, and mansions for rich eccentrics. This paucity of domes could be corrected with more superadobe architecture. Imagine if you could live in an elegant little superadobe dome house with circular woven carpets and little round hearths! The organic shape of the small houses makes them blend in perfectly with succulent gardens informal flowers and unkempt fruit trees. Some builders even go a step farther and cover the entire building with grass and plants. I would like to see more such structures built here on Earth and hopefully someday farther afield.